You are here: Home / Cebu Pacific / CEBU PACIFIC AIR: 99 BASE FARE ON ALL FLIGHTS FOR 1DAY SNAP SALE! 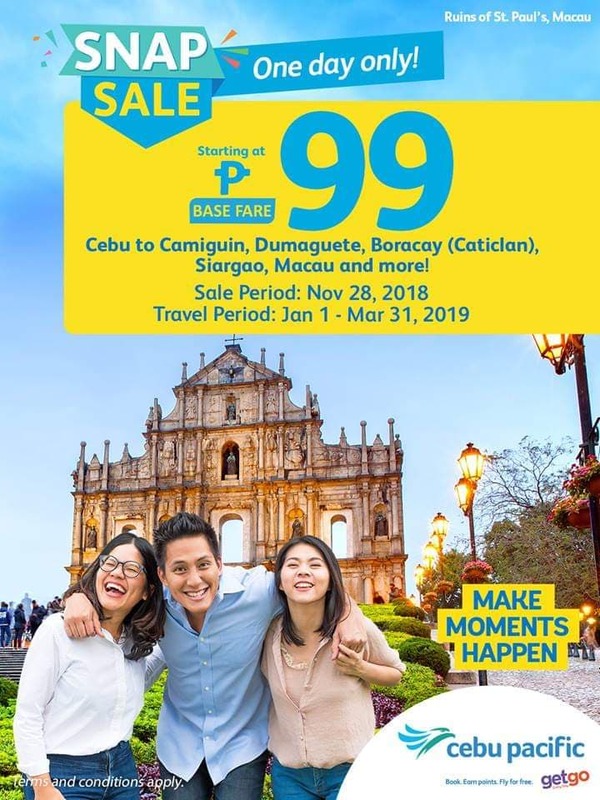 CEBU PACIFIC AIR: 99 BASE FARE ON ALL FLIGHTS FOR 1DAY SNAP SALE! One day SNAP sale for Cebu Pacific Air! Book your plane tickets with Cebu Pacific Air for only 99 pesos (base fare) on any select local and international destinations. Manila to Zamboanga?? Howmuch po?